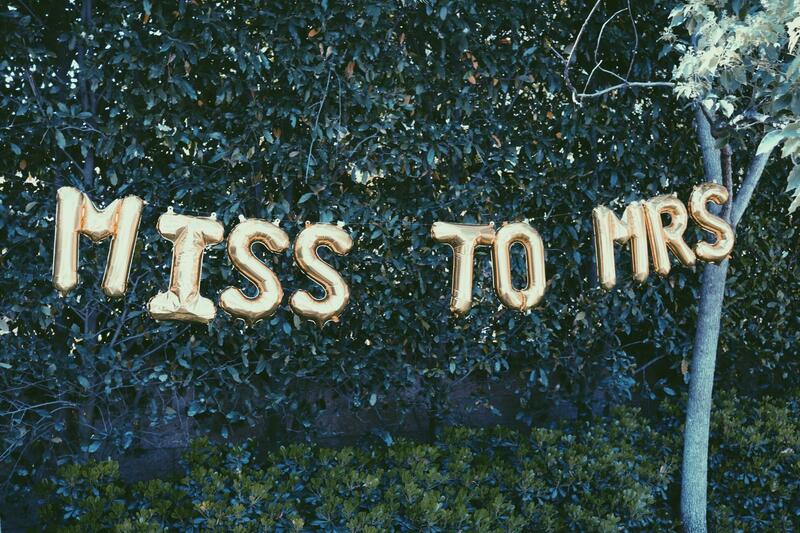 Happy Monday, babes! 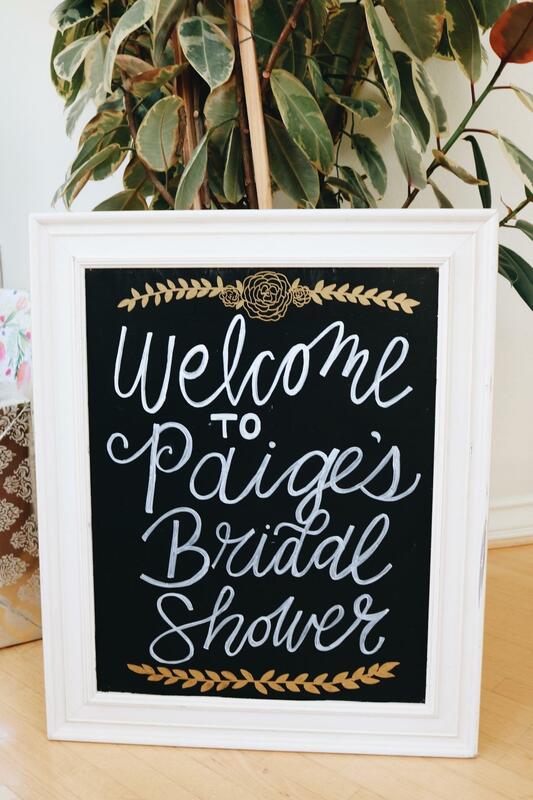 If you saw my Instagram story yesterday, you know I was hosting a very important event – my sisters BRIDAL SHOWER! Wow, do I feel OLD. 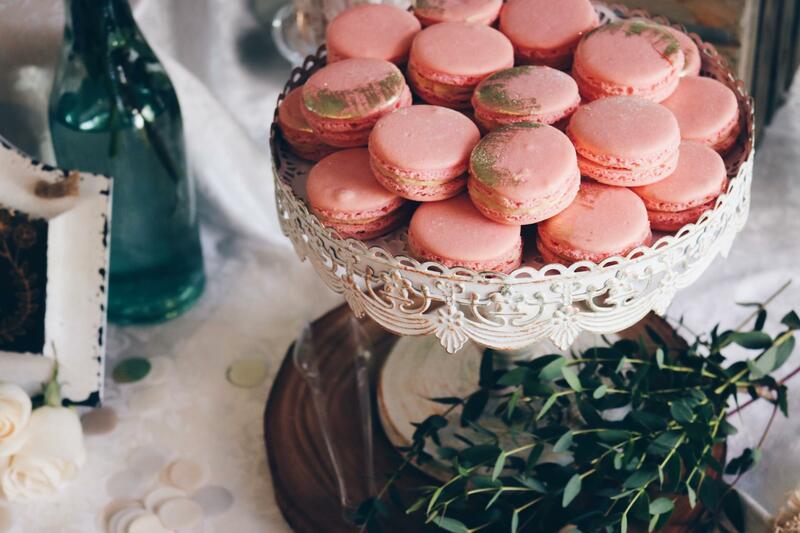 Anyways, I’m lucky enough to be her Maid of Honor which also means I had to plan + execute the whole shindig! I’m not going to lie, it was a lot of work BUT I had help from so many amazing girls and, I have to say, we did a pretty darn good job. 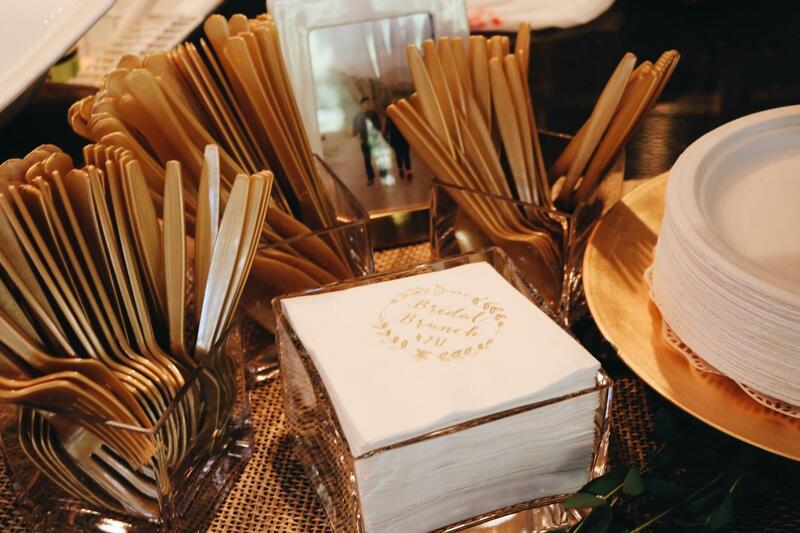 Balloons, balloons and more balloons: I think it’s safe to say that everyone loves a good foil balloon – definitely one of my favorite party trends over the past few years. 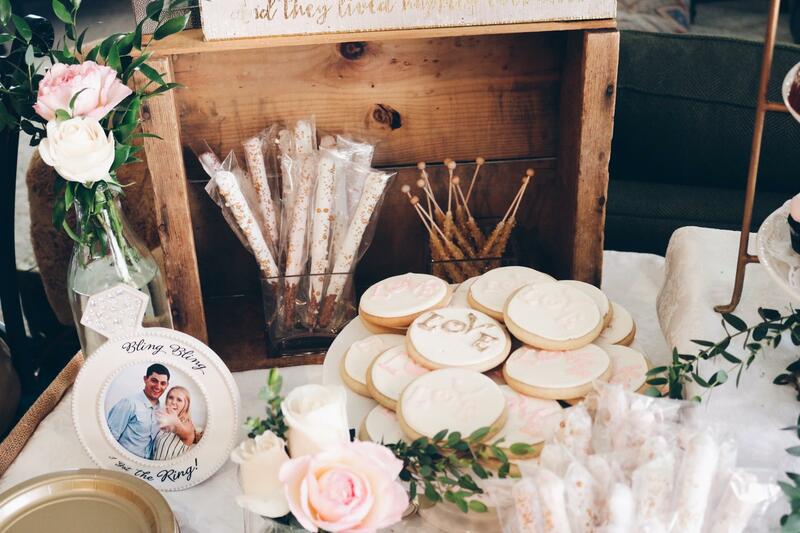 For Paige’s shower, we ordered three from Etsy – “Miss to Mrs,” “XO” and “love.” Not only do they add some spice to the decor, but they make for the cutest photo props. 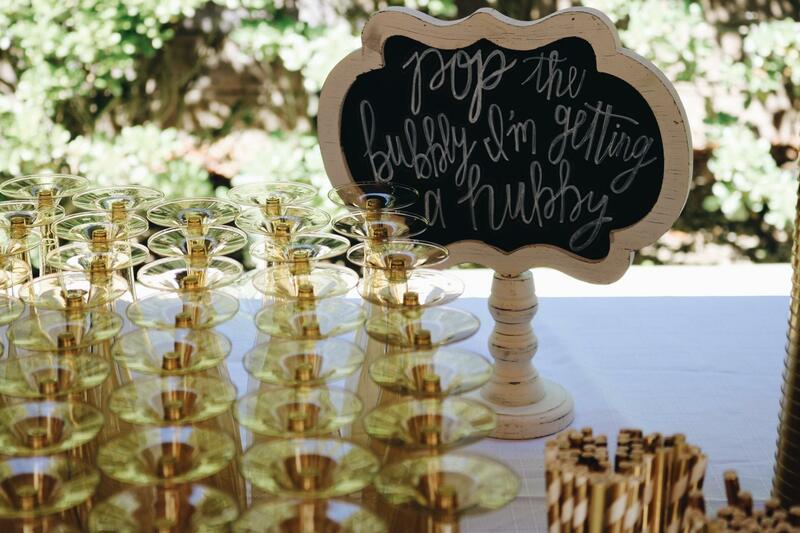 You literally can’t go wrong with a good foil balloon so order away!! 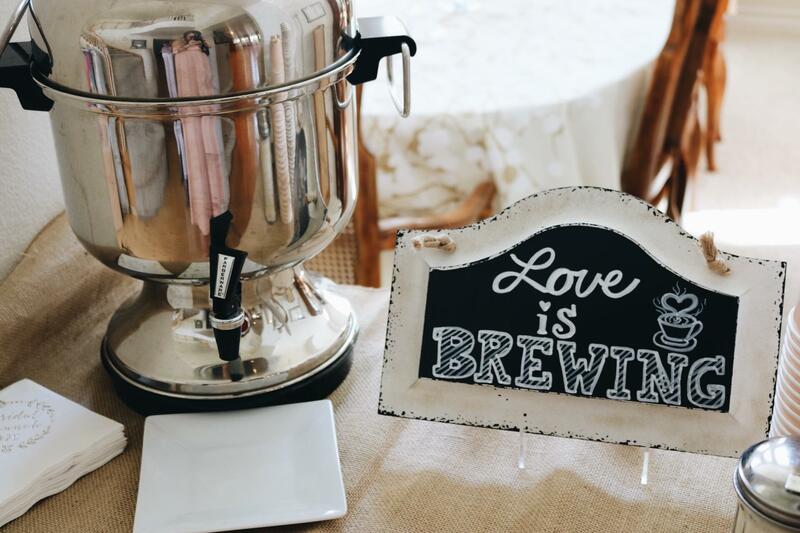 Handwritten Chalkboards: Chalkboards literally make or break your bridal shower. 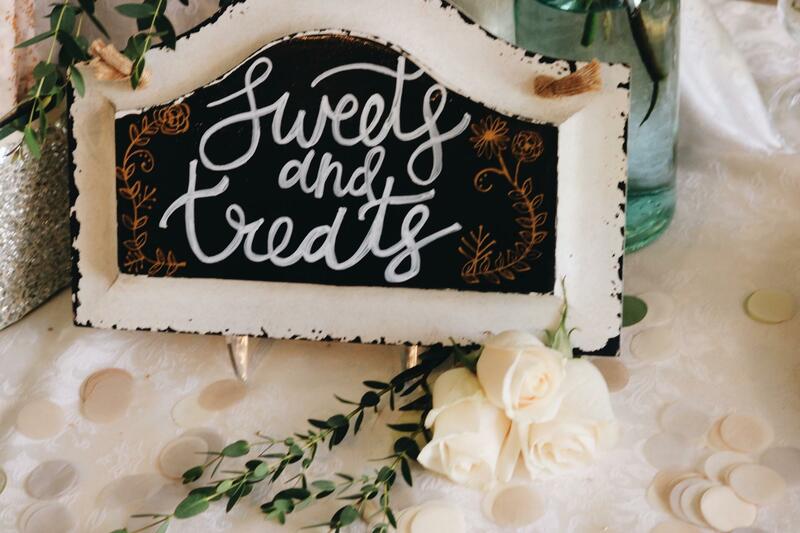 When done right, they’re the cutest decorations that guests simply adore. 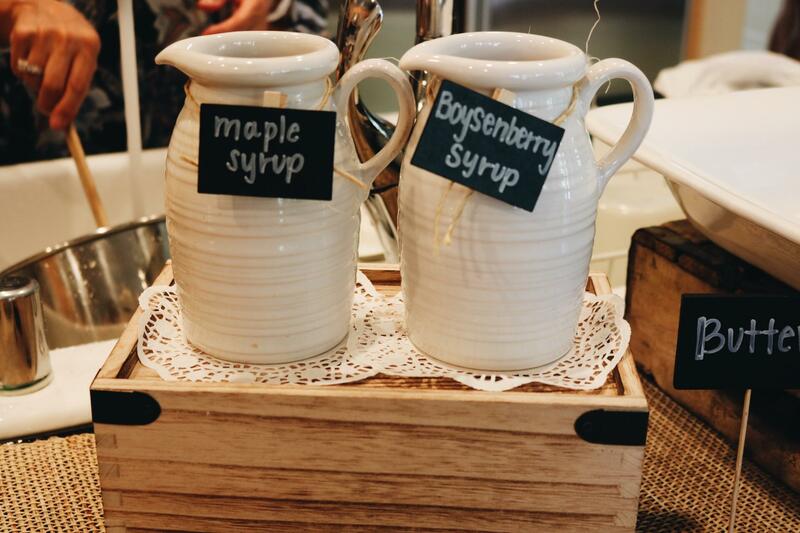 You can use them for anything – welcome signs, funny sayings, countdowns, or even labels for food, drinks, etc. Now, if you’re only semi-artistically talented like me, all you have to do is look up “handwriting fonts” on Pinterest and you’ll discover tons of sites where you can ‘sample’ the fonts. Then, all you have to do is type out what you want to write in the sample section and it will show you exactly how your word or phrase would look with the desired font. 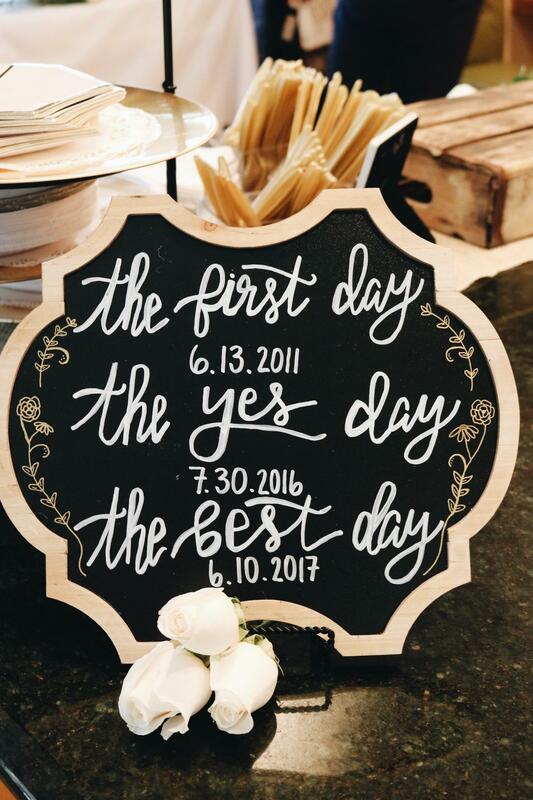 Then – you copy what you see right onto the chalkboard. Fool proof (most of the time). 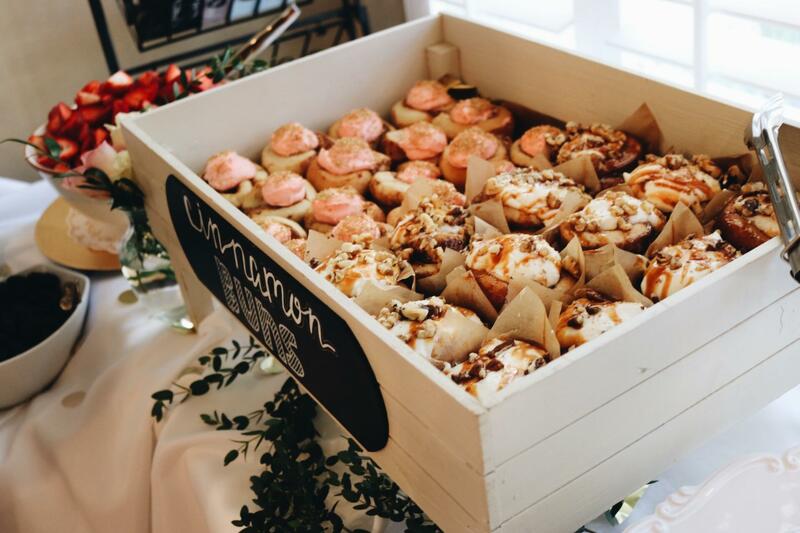 Trendy finger-foods: Food – everyones favorite part about any party. 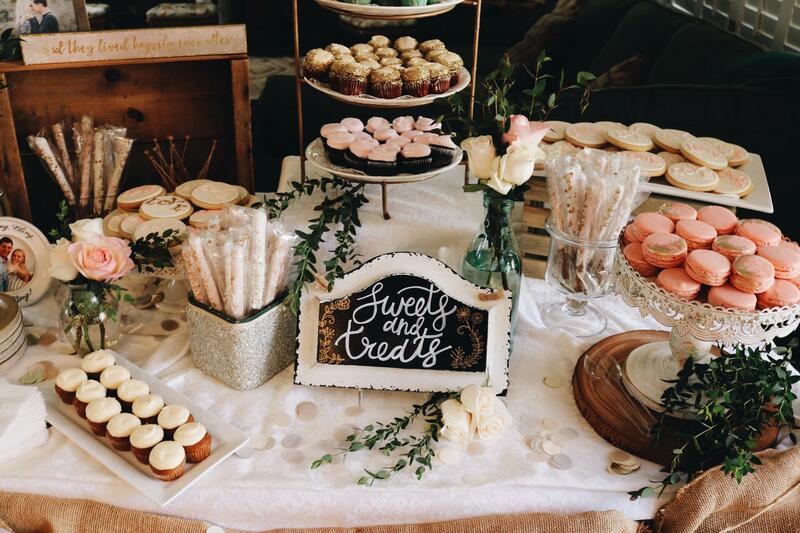 Since Paige’s shower was a ‘Bridal Brunch’ we decided to go with a breakfast theme. 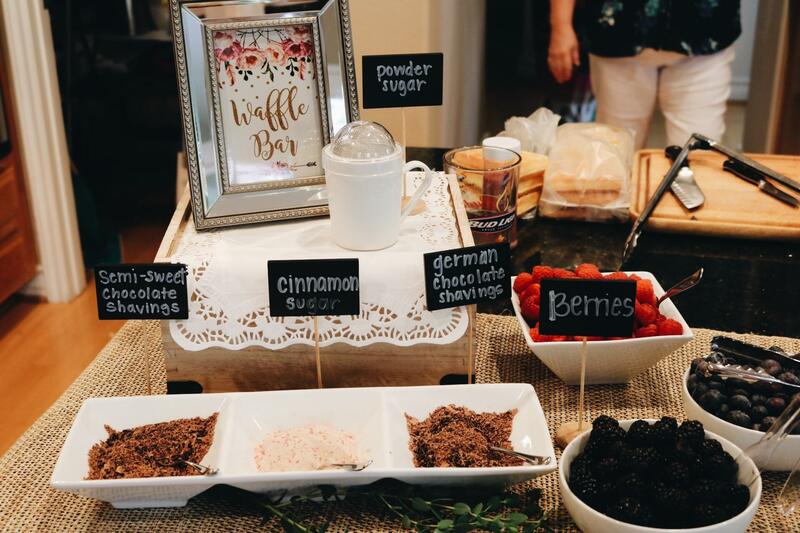 We had a waffle bar, cinnamon buns, coffee station, quiche and a ‘build-your-own yogurt parfait’ station. 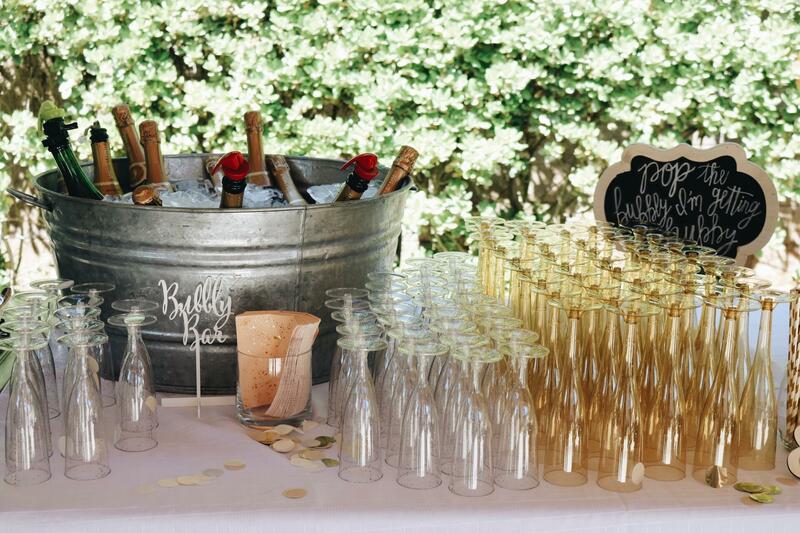 Bubbly Bar: Because, let’s be real, no bridal shower is complete without mimosas. 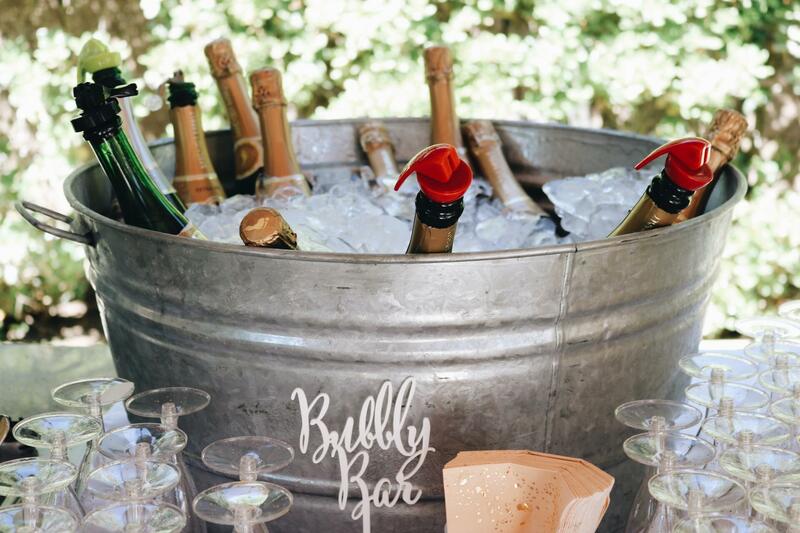 We put our champagne bottles in a silver tub filled with ice – 10 times cuter than an ordinary ice chest. 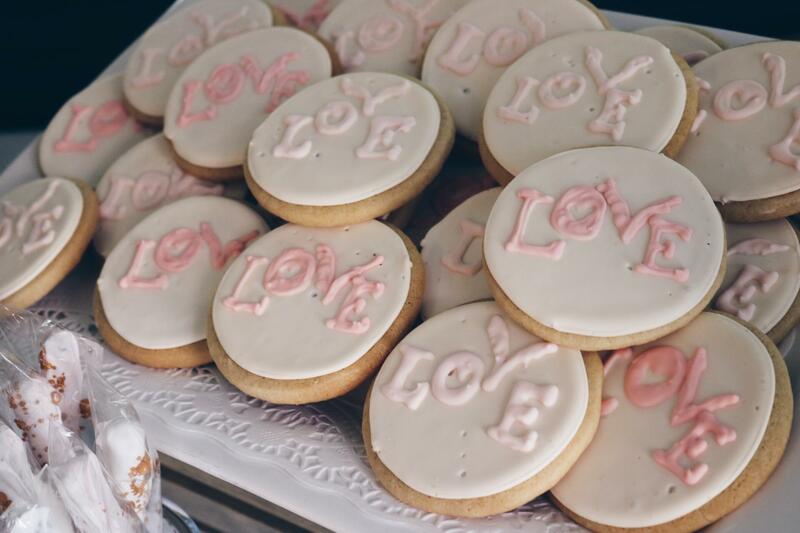 Desserts: We went pretty hard with the desserts – sparkly macaroons, cookies repping the ‘Love Button’ movement‘, chocolate-covered pretzels, rock candy and the cutest mini cupcakes. 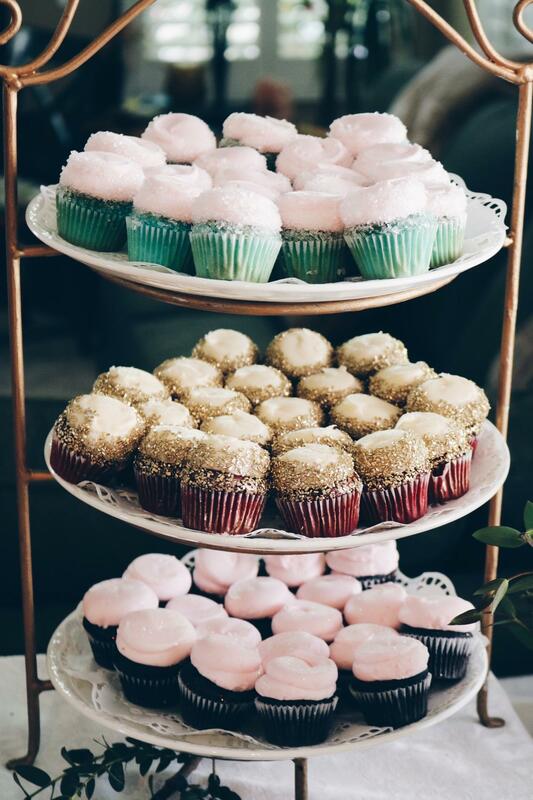 Good thing we’re entitled to cheat days, right? 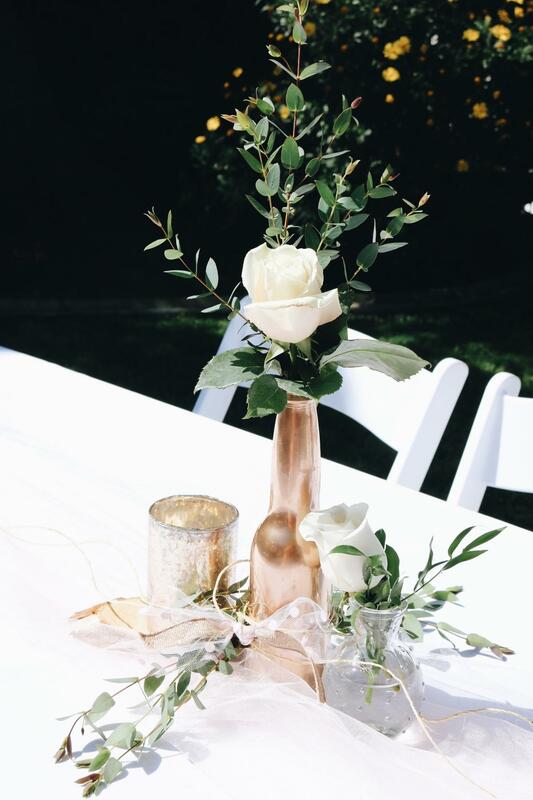 Last but not least, table decorations: No shower is complete without table decorations – and ours were so inexpensive! 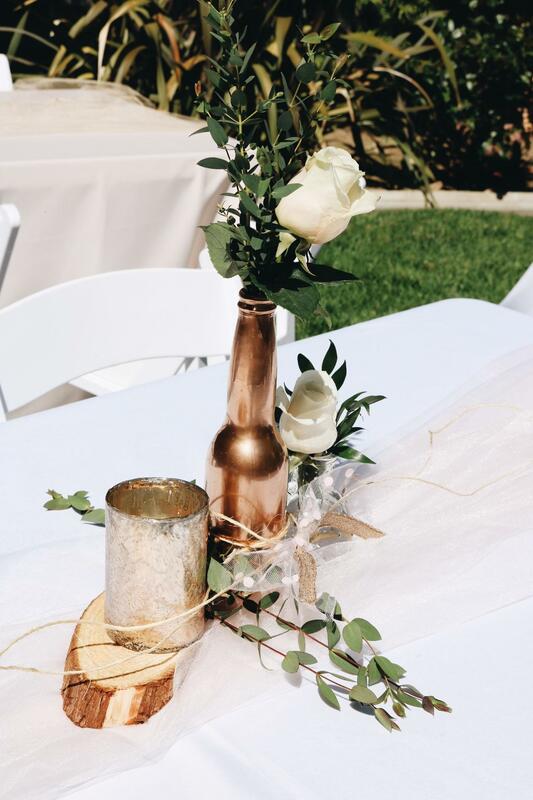 I fished a bunch of empty beer + wine bottles from the recycle bin, spray painted them copper and WALLAH! 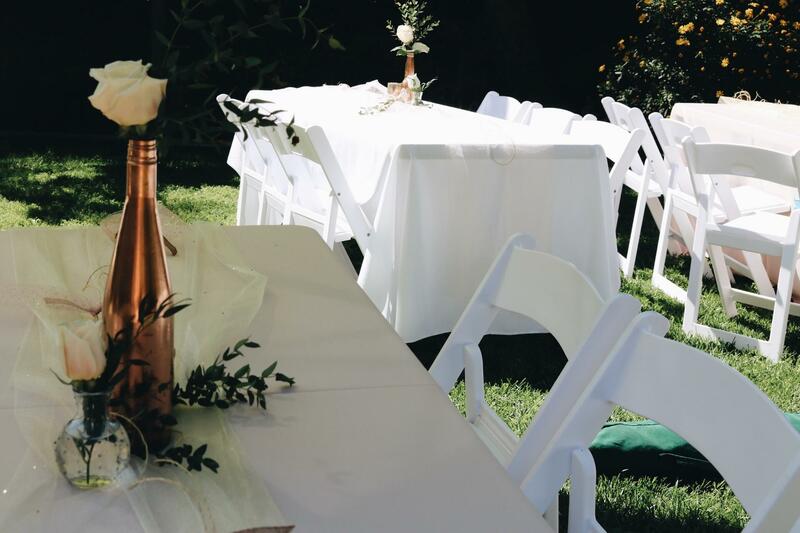 Fill them with flowers, surround them with pieces of wood, candles and sheer fabric and all of a sudden your tables look like they came straight from Pinterest. I loved them so much I’m probably going to keep some for display in my room. Very Nice,Girlfriend! 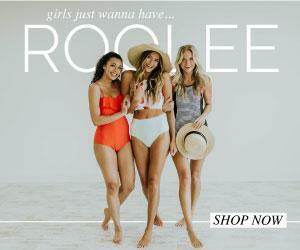 Hey,Even a GUY likes Attractive,gorgeous(you are no exception,in EVERY WAY!) Great-Looking Objects,things,or items,and THIS GUY LOVES What I SAW! 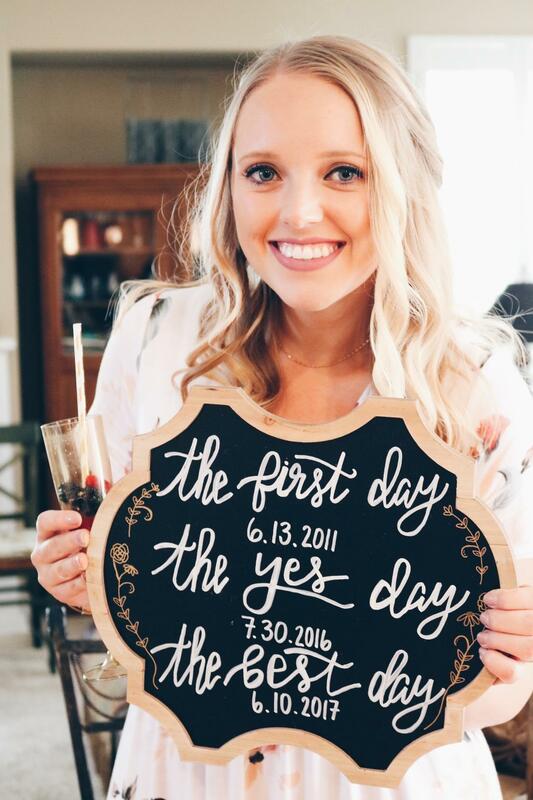 Congrats……I KNOW in my HEART they Will BOTH will love it! 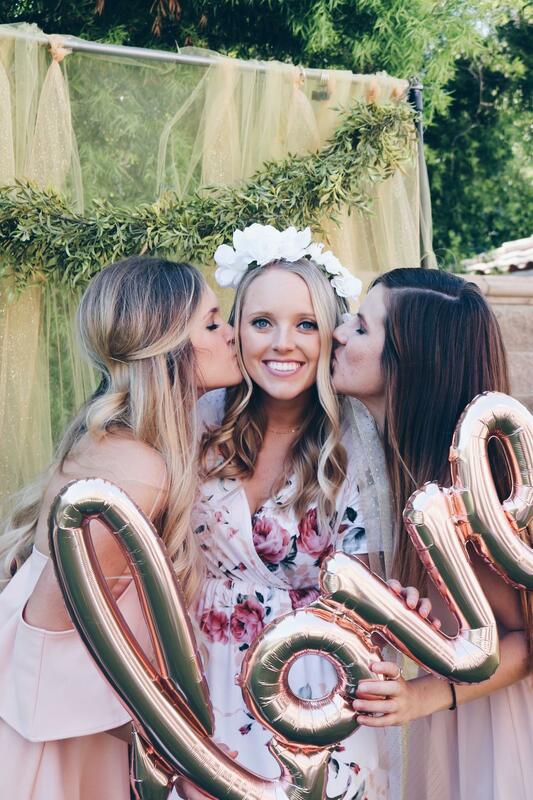 Please Give your Beloved Sister My Sincerest,Happiest,My Most Joyfull and Heart-Felt Well-Wishes,and Congrats on her wedding,and on her being married to whomever she gets Married TO! xoxoxoxoxo Yes,I`m a bit of a pansy,but I just feel happy that good people gets wonderful Things!